Figures Show Growing Importance of International Students - Canada Immigration and Visa Information. Canadian Immigration Services and Free Online Evaluation. New figures make it clear how important international students are set to become to colleges and universities in Canada. 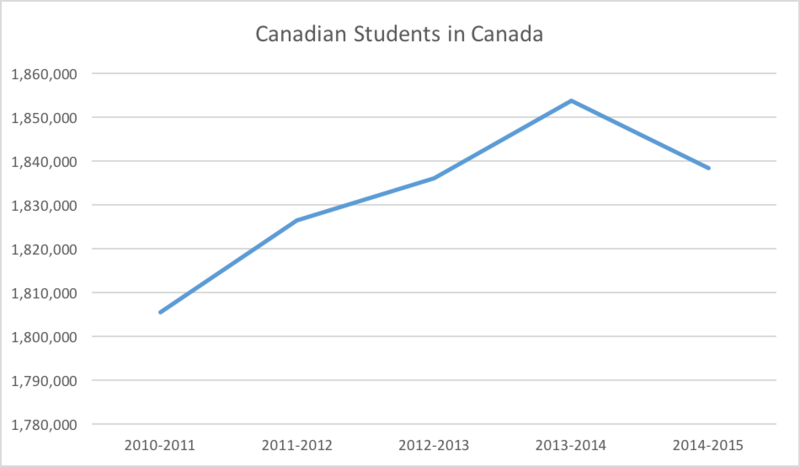 As the Canada-wide population of foreign students steadily increase, from 156,000 in 2010 to 215,000 in 2015, the number of students born here has dipped significantly since the 2013-2014 academic year. There were 15,500 fewer Canadian students in 2014-2015, with signs for the first time that enrolment figures are dropping because of lower fertility rates. It means colleges and universities could have to rely on international students for future growth in their cohorts, or begin to look at shrinking the number of courses they offer in line with reduced demand. The last three rounds of invitations issued under British Columbia’s Provincial Nominee Program have been heavily weighted towards international graduates. The University of Prince Edward Island is also increasing its international student recruitment efforts following significant success in growing its cohort. 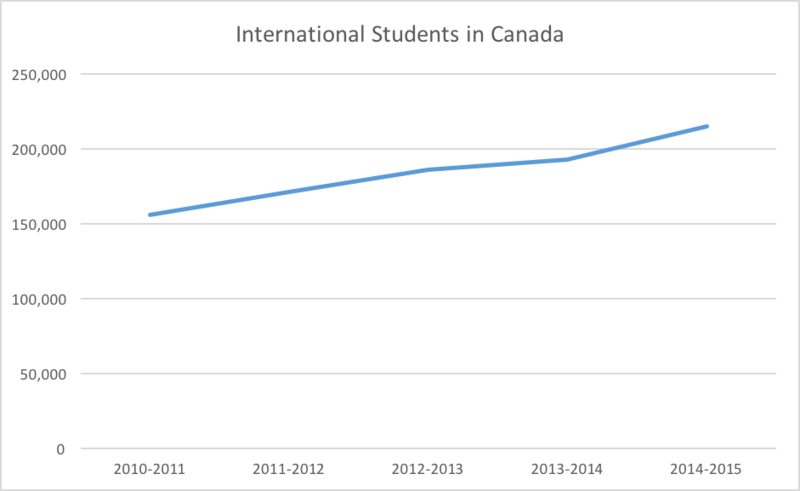 The province is the only one to have witnessed a drop in international student numbers since 2010-2011, but efforts are underway to correct that. The figures come at a time when Canadian universities are seeing an unprecedented surge in interest from potential international students following Donald Trump’s victory in the U.S. presidential election. It means that traditional fears over the ‘brain drain’ from Canada to the U.S. could be flipped into a ‘brain gain’, as bright young people look to move in the other direction, or disregard America completely in favour of Canada. The perceptions of Canada and the U.S. could not be more different in the international community. While the U.S. was electing Trump on November 8, Canada has recently announced sustained record immigration numbers and tweaked its immigration system to help satisfy economic needs. It was widely reported on election night that the website of Immigration, Refugees and Citizenship Canada crashed as Americans looked for a way out from living under a Trump administration. But there was also a surge in traffic to the websites of Canada’s top universities, including Toronto and McGill. Given that most courses begin in September, the full picture may not emerge for some time, but there is certainly the feeling that schools here are in for a bigger slice of what is a lucrative industry. Canada’s immigration minister John McCallum has previously described foreign students as blue chip new permanent residents of Canada, given that they have language skills, knowledge of the Canadian way of life and possess recognised Canadian qualifications. We can expect foreign students to become an important source of economic immigrants to Canada.